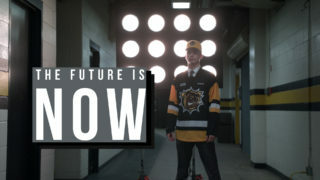 The Hamilton Bulldogs have announced that goalie Marco Costantini has agreed to an Ontario Hockey League standard player agreement with the club. 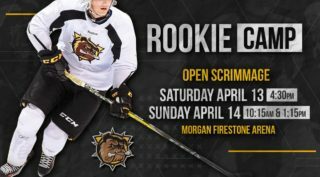 Costantini, 5’11” and 155-pounds native of Stoney Creek, played last season for the Vaughan Kings AAA Minor Midgets. 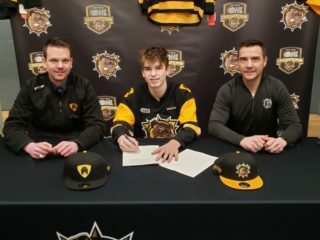 He led the team to the finals of the 2018 OHL Cup where he was named the tournament’s top goaltender with 5-1-1 record, a 1.83 goals-against-average and a .930 save-percentage. 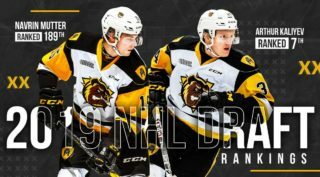 Marco was the Bulldogs 5th round pick (95th overall) in the 2018 OHL Priority Selection. Costantini is playing this season for the Hamilton Kilty B’s of the GOJHL, where he has a record of 2-1, a 1.68 GAA and .944 SV%.